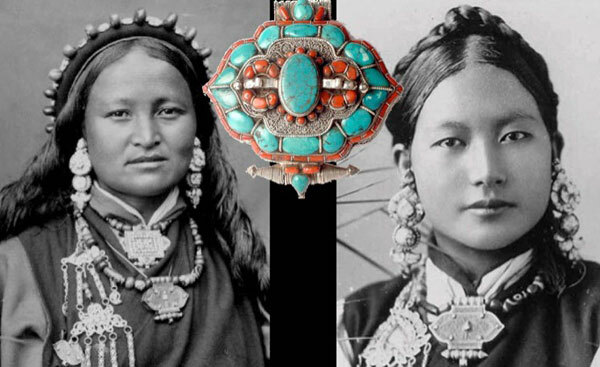 These old pictures show 2 beautiful Tibetan women, adorned with precious jewelry. 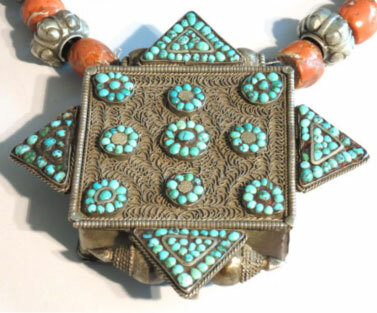 They wear gorgeous amulet boxes made of precious metals, turquoise and coral (or other jewels). Traditionally, Tibetans wear them around their neck, and inside such precious box -called Gau in Tibetan- amulets are placed that can help heal or prevent disease and serve as a protection talisman. The amulet papers are usually ‘prescribed’ and made and blessed by a Lama to address specific life issues, such as health, happiness, prosperity, protection and attraction. Besides amulet papers also mantras, pictures, small Buddha statues and Tibetan medicine pills can be put in this special locket. 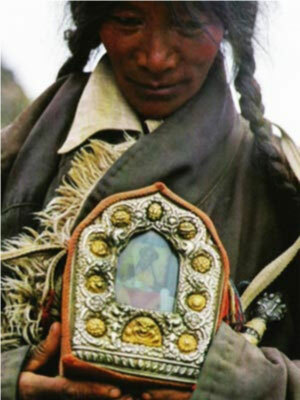 Amulets have been used in Tibet for thousands of years. and they have long been prized for their power and efficacy. Big Gau boxes are brought by pilgrims when traveling long distances. They are carried like a bag or attached to a belt around the waist and these travel altars can have amulets, pictures and a Buddha statues inside them. 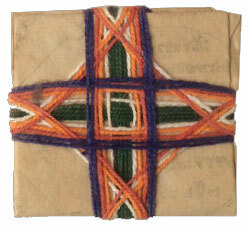 Tibetan paper amulets wrapped in cloth or in thread are the most simple amulets. Traditionally they are made and blessed by a lama. Every Tibetan paper amulet is made by an elaborate traditional process as described in tantras, or the instructions of great Lamas. 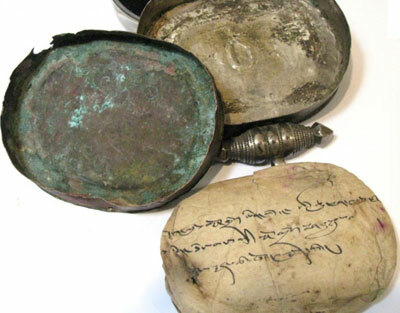 Each amulet has a specific purpose, that can be for example connected to the medical diagnosis of the person wearing it. According to the instructions for each amulet, inside meticulously drawn and printed sacred drawings like a yantra or mandala can be found. They used to be printed from wood block prints on thin paper. The prints can contain mantras & seed-syllables (Bhija-mantras) of the deity to which the person makes his practice, but it can also contain something more in general, such as the mantra of a protector deity. They are sometimes printed or painted with rare or precious substances which have an auspicious connection for the intended purpose. They can also be consecrated by being coated with saffron water containing relics and sacred substances. How is the amulet folded? The amulets are folded (or rolled when it is a roll amulet) in a very specific way, and tied a very specific way. 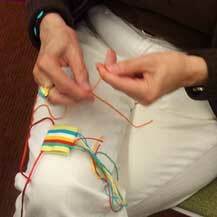 They are wrapped or wound with colored thread in specific designs. They can also be put in a small brocade or silk bag for protection of the paper, with a cord on it for wea­ring on the body. With a closed plastic container around it it can also be worn in the shower. Do you have to wear an amulet? 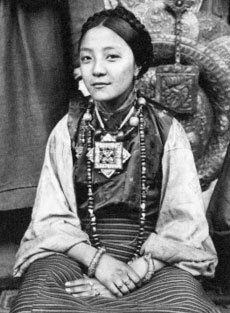 Usually Tibetan amulets are being worn around the neck, at the level of the heart. But they don’t have to be worn on the body, they can also be placed somewhere in the house for their power, like affixed above a door. Also hanging one in your car is very beneficial. This way, every time you or someone else enters your house or your car they are blessed by the power of the amulet. 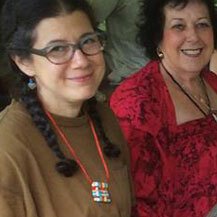 The workshop Creating a Tibetan Amulet for Healing and Protection was especially developed by Carmen for the Rubin Museum of Art (NYC) and she offers them now and then at different places as well. 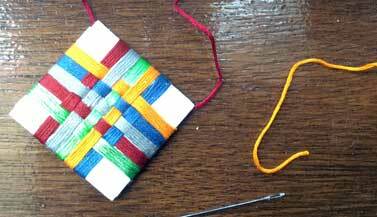 In this workshop you will learn all about the use of amulets in ancient Tibet, and after that you will create one for yourself, according to tradition. This amulet for long life, healing and protection will be made according to the Tibetan Buddhist tradition, with a personal touch, making it a very unique and individual item. We will also work with the mantras and meditations that are used. 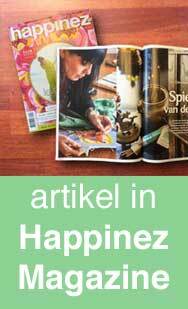 Buddhist Amulet making workshops are offered irregularly. 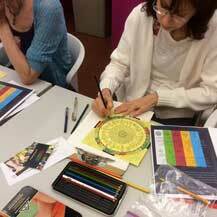 Please check the Buddhist Art Classes page for upcoming workshops or book a Private Amulet Making Class.